My Father-in-Law turned 70 and we threw him a little party. 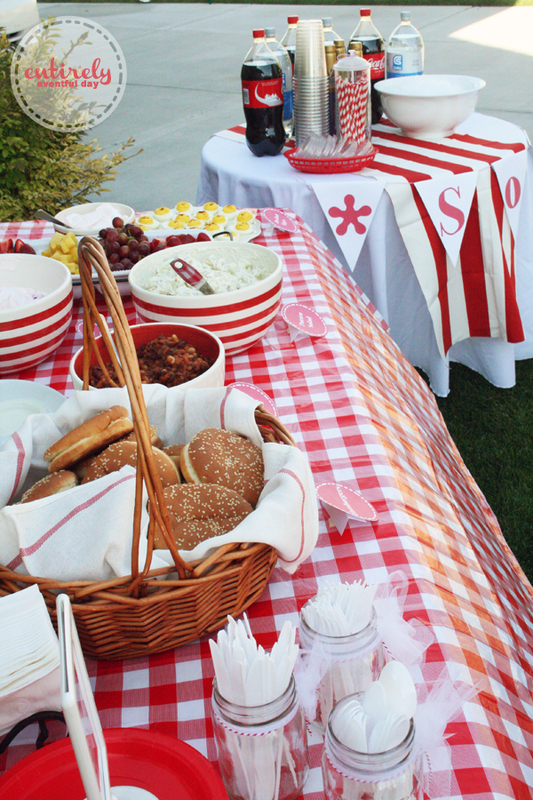 We decided on a Red and White Retro Barbecue Theme because it's nostalgic, and he's kinda old ;), as well as masculine. 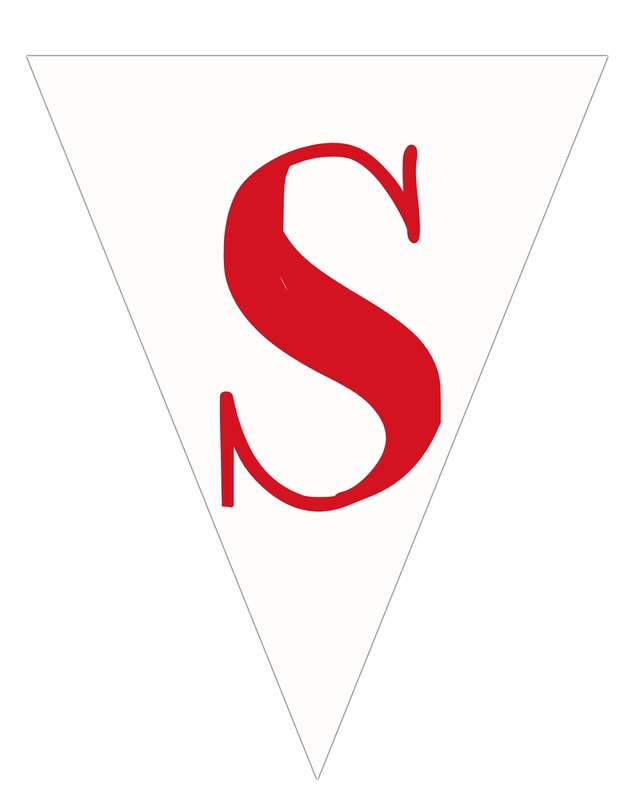 To keep it simple, since I was packing the decor and traveling with it and my sister-in-law had a few things we were using, we stuck with a red and white party color scheme. 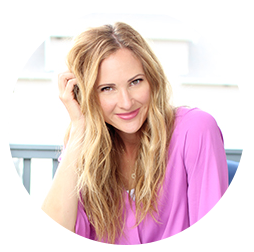 PS you can find a link to download the printables for free at the end of this post. 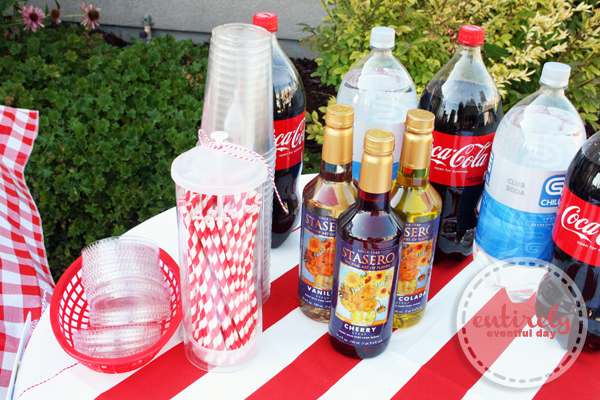 I created an old-fashioned "soda fountain" with club soda and Coke and flavored syrups to mix in. I'm not going to lie, pinacolada syrup in Coke is delish. 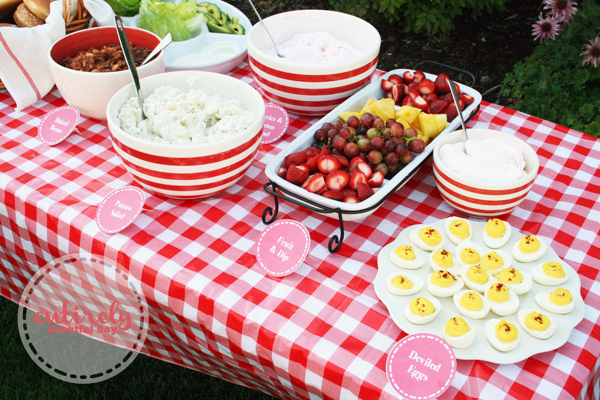 Of course, no picnic is complete without red and white checkered table cloths. I also love to add food labels, it just adds so much... don't you think? It's pretty much an illness. I don't think I could have a party without food labels at this point. Do you think I have a problem? 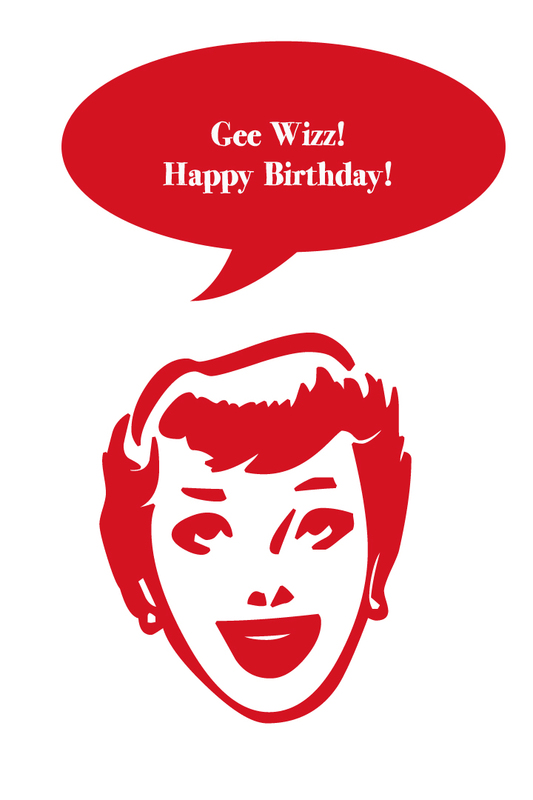 Here's an example of the retro birthday signs I created. (You can download them for free at the end of the post). If you don't have a collection of these awesome frames from IKEA you really should. They are only a buck and they are so perfect for parties! 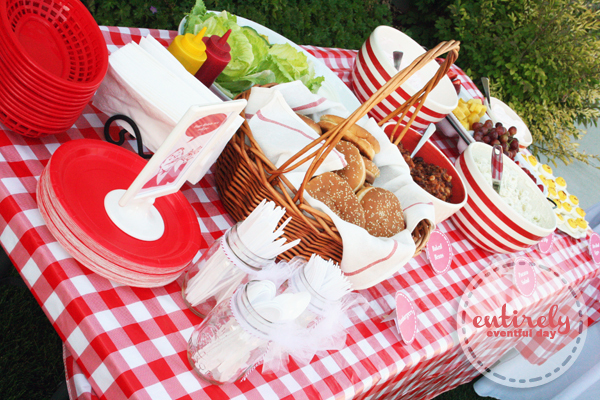 Keeping to a simple party color scheme made it easy to use serving things we already owned. My SIL had these cute striped bowls and I had just bought these dish cloths (which worked perfectly) at IKEA. It's not too often that I get to bust out my cute red baskets (I got them a TJ Maxx years ago), so I jumped at the chance. Aren't they adorable? 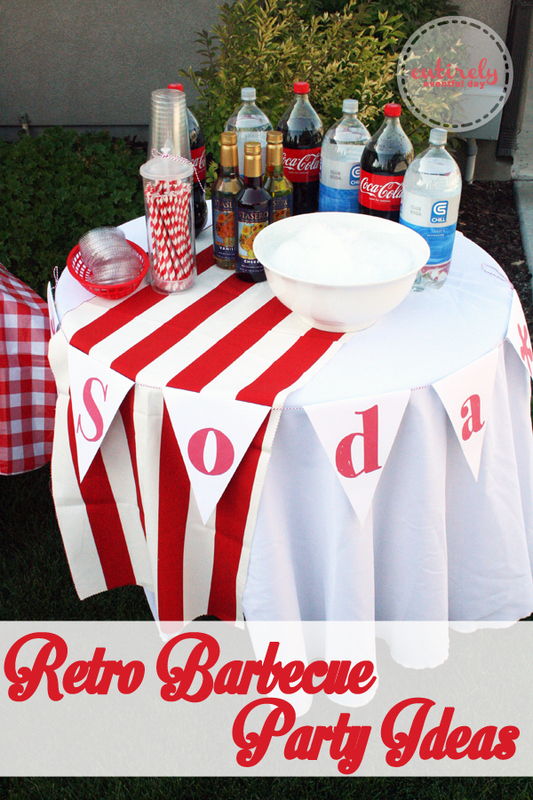 It was simple to create my soda fountain. Just some two liter bottles, flavored syrups, paper straws, and clear plastic cups with lids. Oh, and don't forget the ice. The table runner is a strip of fabric from IKEA that I cut with pinking sheers. 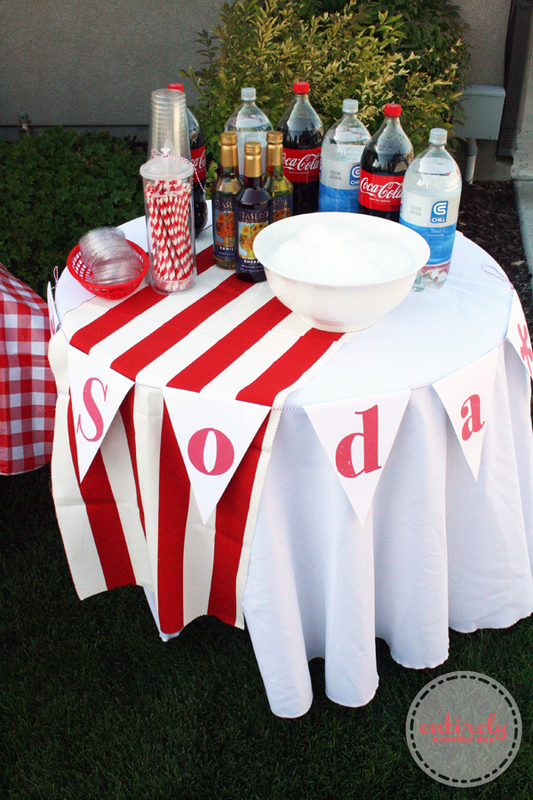 Table runners like this are such a fun and easy way to add color to your party. I had this one left over from a gingerbread house party. 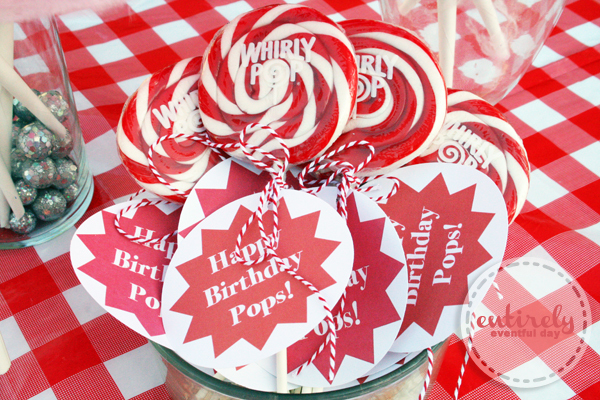 And for party favors: these adorable red and white whirly pops with "Happy Birthday Pops!" prints (I designed) attached. As you can image, the kids all went totally nuts for these. 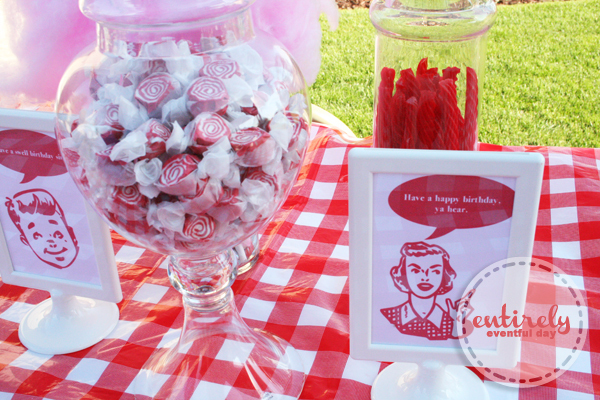 We filled glass jars with red candies to add more color. These taffies are my new best friend/worst enemy because they taste like red licorice! I can't get enough! Seriously, and there are still a ton of them in my pantry. I need an intervention. 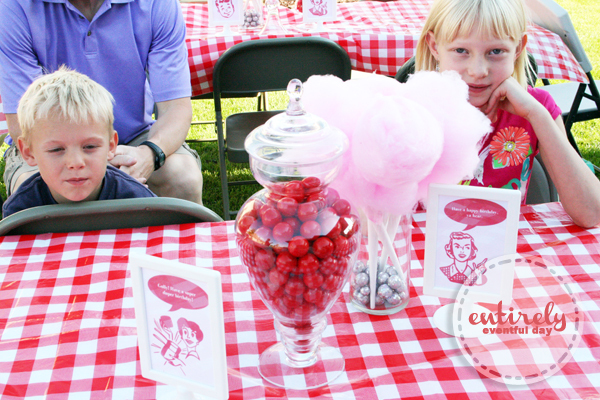 As you can see, the party guests were seriously anxious to get their hands on the candy. But what good little kiddies they were. We all had a great time and Grandpa was very surprised. 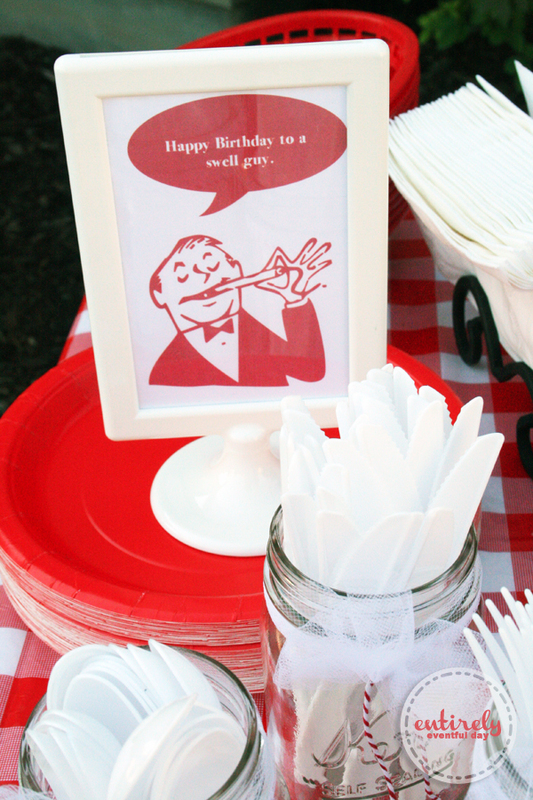 If you feel the urge to throw a retro BBQ party, feel free to use these printables!